love this revolver ,fun to shoot both double and single action. 38 caliber is common and easy to find. I need more of these. That is nice, Any idea how many were marked that waY????? 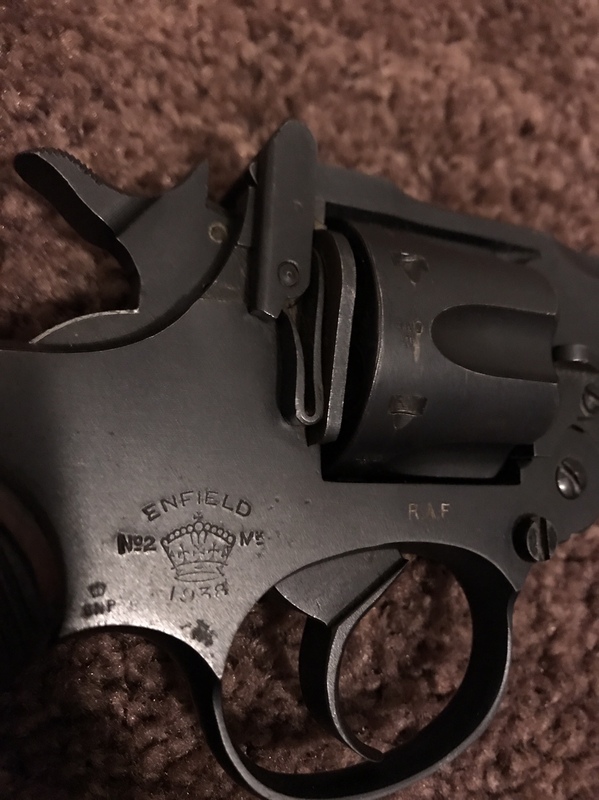 .38 Spl? This is terrific! 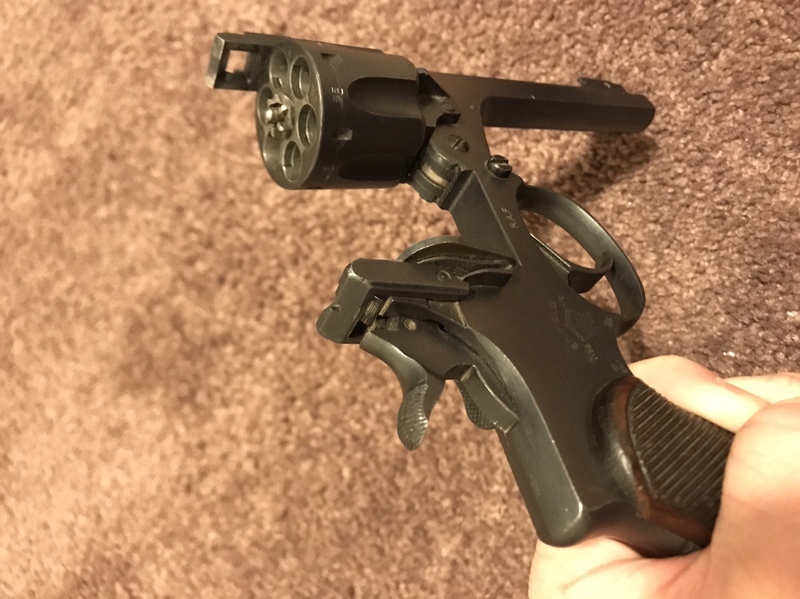 Nice pistol and great condition! Mine is not RAF, but 1940 with bobbed hammer.